A top in red, pink or blue, wear it for Valentine's day, and all year through! 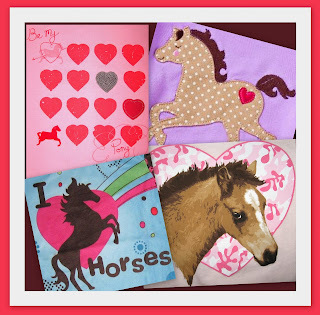 Hearts and horses go together so well... at least according to my horse lover and I. "Roses are red" verses - ode to horses of course - and share them with us here. This verse wont do, as nothing rhymes with orange! My daughter loves horses! I need to find some cute girls sweaters with horses for the holidays.